13 metres of Silver 18 Gauge Round Anodised Aluminium Wire. This wire is uncoated and the colour may vary between dye lots. Old Ref 9285. 13 metres of Silver coloured, 12 Gauge Round Anodized Aluminium Wire. This wire is uncoated and the colour may vary between dye lots. Old Ref 9309. 13 metres of Silver coloured, 20 Gauge Round Anodised Aluminium Wire. This wire is uncoated and the colour may vary between dye lots. Old Ref 9314. 18 Gauge Dead Soft, Half Round Copper Wire, sold as a 4 metre piece. If you order more than one, you will receive multiple pieces of 4 metres. 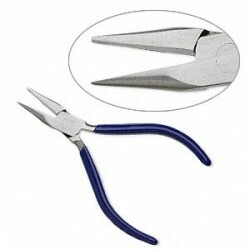 Chain nose pliers for use with jewellery wire. They have lap joints and a polished head to help prevent marking on soft wires. 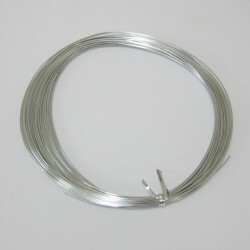 13 metres of Silver coloured, 14 Gauge (1.5mm) Round Anodised Aluminium Wire. This wire not coated and may vary slightly in colour between dye lots, also please be aware that this wire is 0.1mm smaller than 14ga wire. Old Ref 9266. 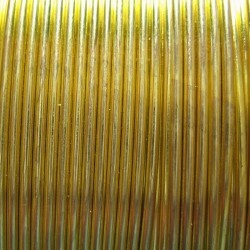 20 Gauge Dead Soft, Round Jeweller's Bronze Wire, sold as a 24 metre length on a spool. If you order more than one, you will receive multiple spools of 24 metres. 20 Gauge Dead Soft, Square Copper Wire, sold as a 6 metre length. If you order more than one, you will receive multiple pieces of 6 metres. 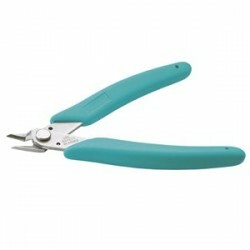 Xuron Micro Flush Cutter for a nice close cut on most jewellery wires. Great for high detailed pieces using fine wire.